Being one of the leading names in providing excellent quality products, we have a committed section for Chapati Machine - Pathri. We produce host of two chapati machines such as Semi Automatic Chapati Machine, Auto Chapati Machine, Dosa Machine, Vegetable Cutter and Baking Unit for Chapati Machine. We produce all these machines in accordance with international specifications. Renowned for their durability and supreme performance, these machines are available in world leading price. With wide and rich industrial experience, we are offering highest grade Dosa Machine. Manufactured using latest technology and machinery, these are of world class standards. Our team of highly dedicated technicians ensures that our customers always get the following traits like durability, dimensional accuracy and corrosion resistance. 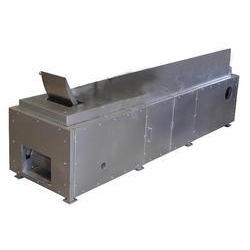 These dosa machines are available with batter dispensation, batter spreading, oil spraying and roasting – all done automatically with capacity of 300-350 dosas per hour. 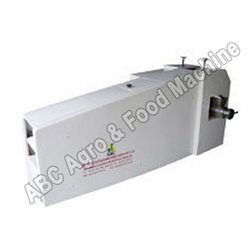 We stand as one of the leading manufacturers and suppliers of Semi Automatic Chapati Machines. We produce one of the best quality chapati/poori making machines as per customer specific requirements. We use sophisticated technology and army of qualified engineers and technicians, who ensures high quality and international standard of our products. Extensively used in many industries like food processing industries, factories, Education institutions for preparation of chapattis, these are equipped with an alterable die system with capacity of 500-2000 pcs./hr onwards. 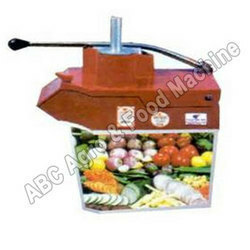 We are engaged in manufacturing and supplying of the one of finest quality of Auto Chapati Machines. Our team of highly experienced engineers and technicians oversees each and every stage of production of these compact chapati machines. We follow all stringent quality tests to make sure that our customers get only the best products. These machines produce fully roasted and ready to eat chapatis. With Gas as fuel and capacity of 1000 pcs per hour and more, these machines are highly productive and cost effective. 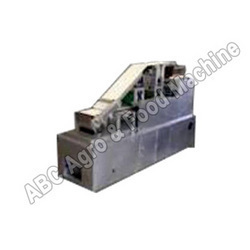 We also hold the expertise in manufacturing Vegetable Cutter. These are made from a very high grade metals due to which they are in great demand in the global market. Our metallurgical analysis and expertise in this field helps us produce very durable and high performance cutters with a very high tensile strength. These are very much suitable for all food processing units as these are apt for cutting vegetables at required sizes- cubical ,round, small pieces and dust with capacity of 50kg/hr onwards. With our vast experience in industrial product manufacturing, we are also offering Baking Unit for Chapati Machines which can be synchronized with existing semi automatic chapati machine. Made from finest of metals, these are pertinent for all kinds for food processing industries. State of the art technology and highly skilled technicians are responsible for our high standards.